Victoria L. Bernhardt, PhD, is executive director of the Education for the Future Initiative, whose mission is to build the capacity of learning organizations at all levels to gather, analyze, and use data to continuously improve learning for all students. She is also a professor emeritus in the College of Communication and Education at California State University, Chico. Bernhardt received her PhD in Educational Psychology Research and Measurement, with a minor in Mathematics, from the University of Oregon. She has worked for more than 25 years with learning organizations all over the world to assist them with their continuous improvement and comprehensive data analysis work. She is the author of 20 books, including the widely recognized Data Analysis for Continuous School Improvement, 3rd Edition. 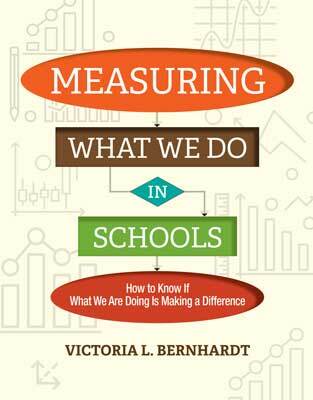 Bernhardt is passionate about her mission of helping educators continuously improve teaching and learning by gathering, analyzing, and using data. She provides consultations, professional learning, and keynote addresses for schools and the agencies that serve them on the topics of comprehensive data analysis, Response to Intervention, and continuous school improvement. This book details the crucial role program evaluation serves in school success and how to implement meaningful evaluations that make a difference.